On 19th March the Outdoor Volunteering HEF group met at Abriachan for an experimental outdoor meeting. The weather was glorious - so we're going to try it again. 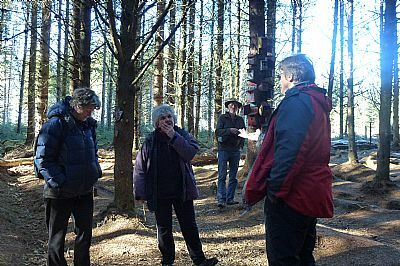 The next meeting will be mid to late August at the Trees for Life Dundreggan conservation estate. Date TBC. If you are interested in finding out more about the group and joining our meeting get in touch with Caroline. Brief notes from the March meeting at Abriachan can be found here.